We all know that in the current economic climate, sponsorship deals are hard to come by. Ever more so in Greece where two lower league teams have taken the novel approach getting sponsorship in anyway way they can. 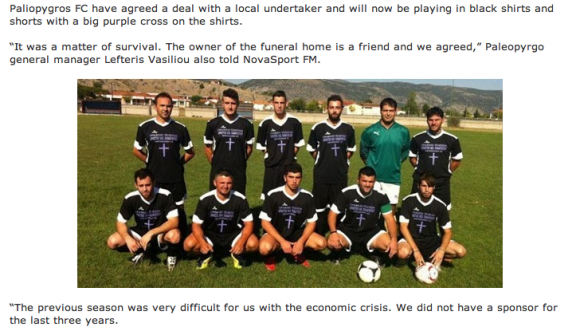 Paliopygros FC have taken the morbid approach and are now sponsored by a local Undertakers, changing their colours to black and purple in the process. 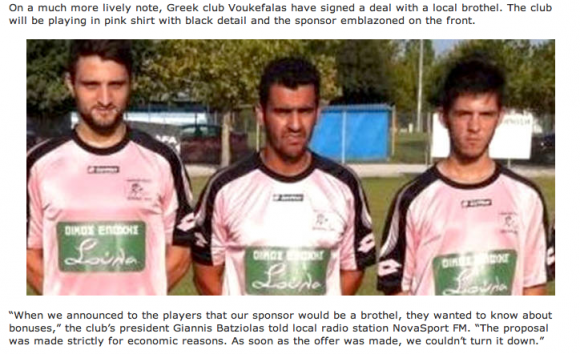 Voukefalas have even gone one further than that and have signed a sponsorship deal with a local brothel. We would love to hear of any unusual sponsorship deals that any of you have heard of, but were sure nothing will be able to beat this. 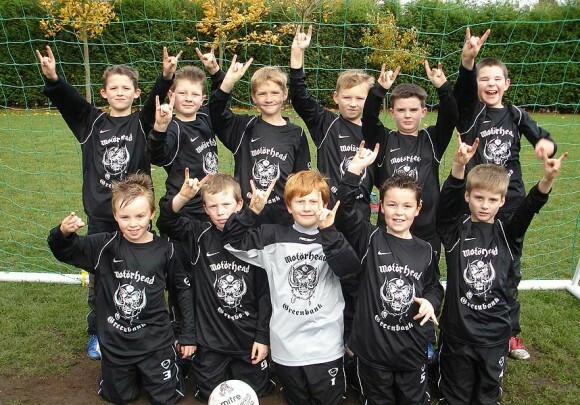 In 2006, English junior team Greenbank FC sealed a sponsorship deal for the under 11's side to be sponsored by Rock Band Motorhead.